The Internet Corporation for Assigned Names and Numbers (ICANN), one of SEEDIG’s supporting organisations, will hold its 63 meeting on 20–25 October 2018, in Barcelona. 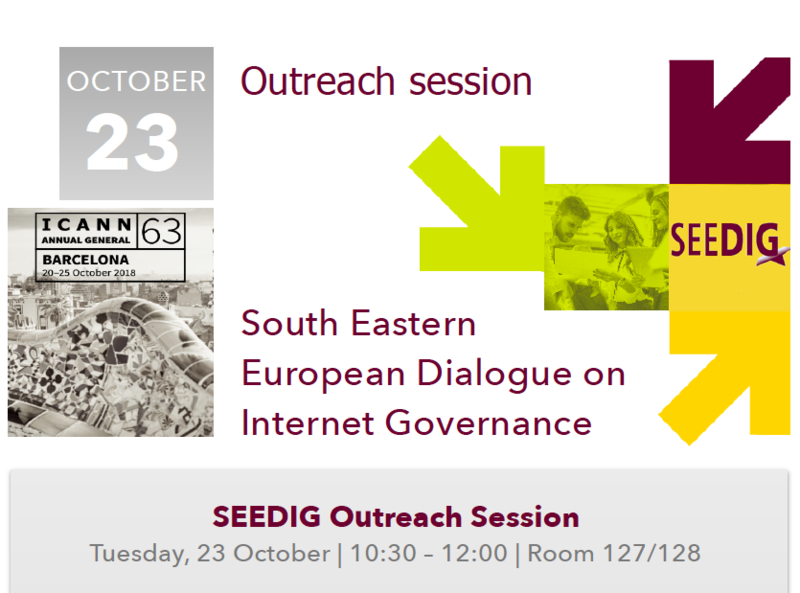 As it has been the case at previous ICANN meetings hosted in Europe, we will hold a SEEDIG outreach session during the week. Open debates on the future of SEEDIG. The session is open to the Internet community in SEE+, to SEEDIG’s partners and supporting organisations, and to anyone else interested in our work. If you are not in Barcelona, you can join us online. This entry was posted in Outreach and tagged icann, outreach, SEEDIG. Bookmark the permalink.